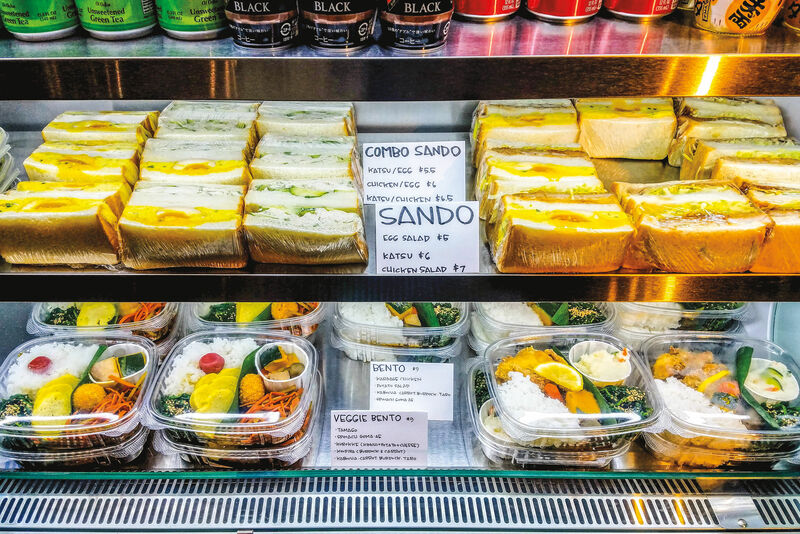 On a gritty stretch of close-in Southeast Portland, in the shadow of Basecamp Brewing’s industrial bunker, sits the Gonzo food cart. While rain pounds the tin roof of a converted white Shasta trailer, owner Tal Caspi runs perfumed platters of thick-skinned falafel into the brewery to feed the Patagonia-clad masses inside, sucking down pints of “Ripstop Rye” and “Carabiner Ale.” All the while, Gonzo cranks out creamy, fresh-made hummus, herb-pounded hot sauces, and gluttonous Mid-East creations. 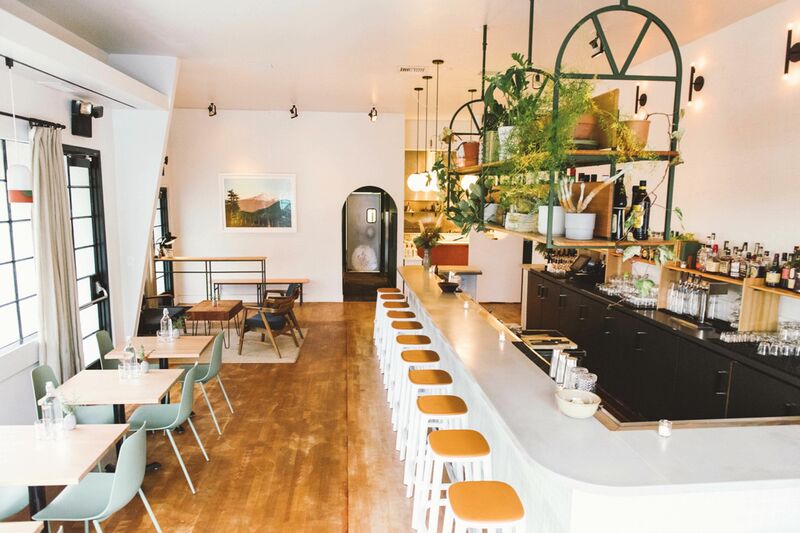 Caspi, an Israeli native, opened Gonzo a year and a half ago on Division Street, with a mission to serve the traditional, from-scratch cuisine of his youth. Last winter, Gonzo migrated to the lot outside of Basecamp Brewing, a beer hall devoted to Portland’s outdoorsy demographic. 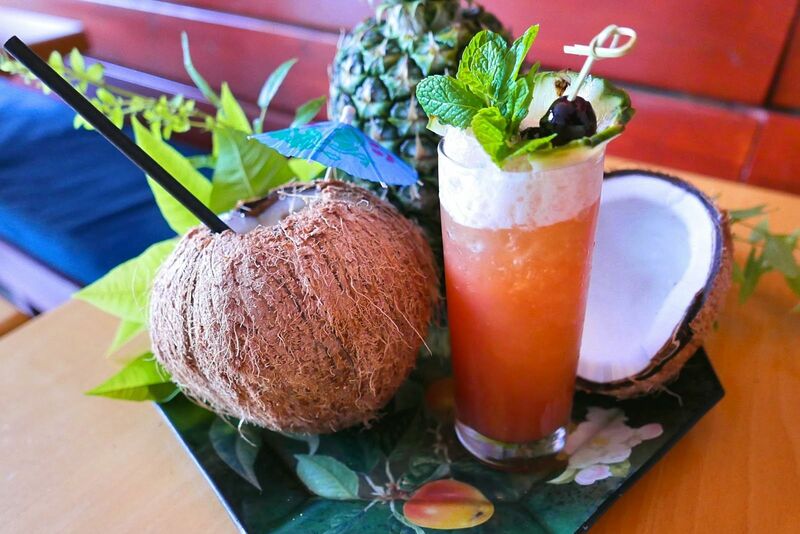 Order at the bar and take a seat—Gonzo is one of Basecamp’s satellite restaurants. 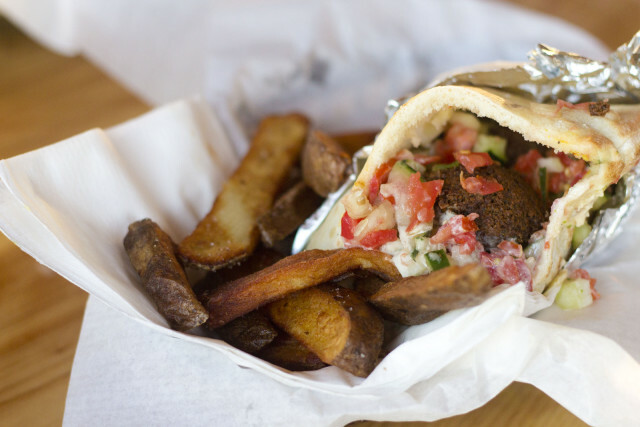 That means fresh hops and table service alongside one of the city’s most promising Middle Eastern food carts. 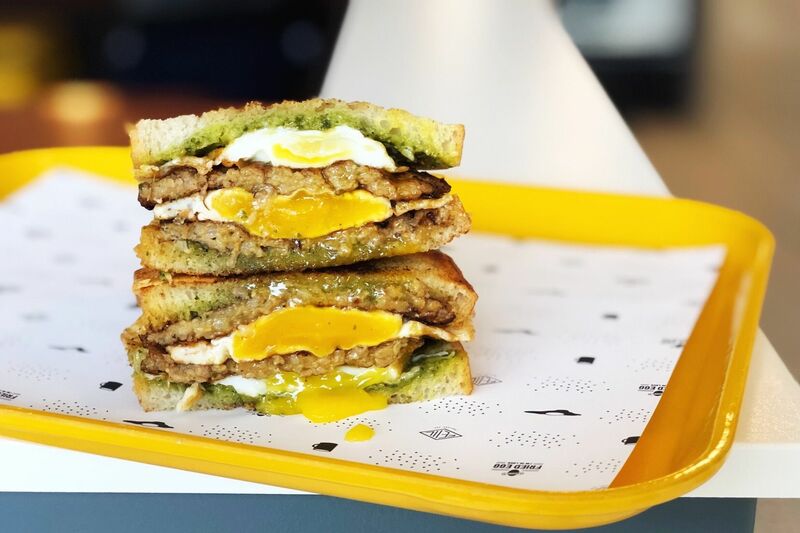 For a quick bite, hit the sabich (pronounced with a hard ch), an Iraqi-Israeli pita sandwich bulging with grilled eggplant, hardboiled eggs, hummus, tahini, Middle Eastern pickles, and amba, a mustardy mango chutney. The painstakingly from-scratch falafel, with its thick, dark crust and fries sticking out the top, isn’t bad either. 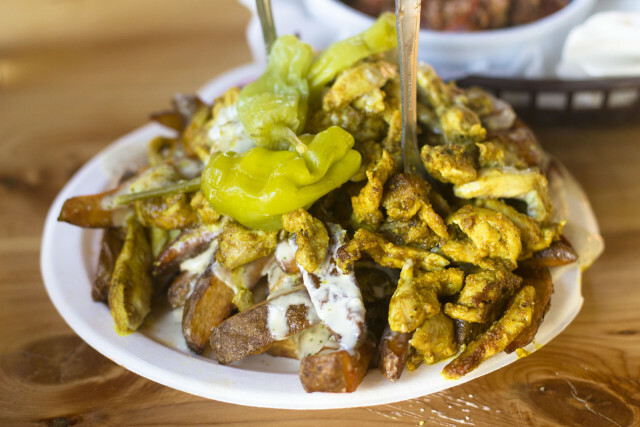 For a real taste of Gonzo’s Mid-East excess, order the Shawarma Fries, a sagging, $14 edifice that could easily feed four. Somewhere between poutine and dirty fries, this Gonzo creation layers yellow-hued slices of curried chicken over thick-cut, bronzed French fries and an undercoat of creamy hummus and tahini. Liberally apply the house-made hot sauces: bright green tsug (chili peppers, herbs, garlic, lemon juice), and fiery red harissa (chile peppers, sweet bell peppers, garlic and mint). But be warned: hot means hot. To offset the guilt of Gonzo’s shawarma gut bomb, dive into one of the side salads: one, a simple bowl of tomatoes, cucumbers and parsley, with a brick of feta set on top, the other, a standout, slow-cooked stew of garlicky tomatoes and eggplant, spiced with paprika and cumin and served cold. According to Caspi, a second Gonzo location is in the works. Details as they become available.